LEE YEON HEE, TVXQ! MAX, SHINee JONGHYUN and SHINee TAEMIN watched LEE DONG WOO’s a new play,. Your interest will be highly appreciated for the play, ! TVXQ (U-Know Yunho, Max Changmin)’s Max Changmin has marked the end of his time on ‘Our Neighborhood’s Master of Variety and Sports’ with the celebrity team’s basketball match against a Seoul team. A basketball match between the celebrity team and the Seoul team was featured during the episode of KBS 2TV’s variety show ‘Our Neighborhood’s Master of Variety and Sports’ that aired on the 4th. On this day, the celebrity team was able to beat out the Seoul team by a small margin, keeping viewers on the edge of their seats. Meanwhile, Max Changmin has been appearing on the show since it began last April. Till now, Max Changmin has participated in the show’s table tennis, bowling, badminton and basketball matches, bringing laughter and emotions to the show’s viewers. TVXQ’s Max Changmin has transformed into a webtoon (online cartoon) artist struggling with the scars of his first love. Mnet announced on the 22nd that Max Changmin has been chosen as the leading role for ‘MiMi’ their upcoming ghost romance drama that has a total of four episodes. Max Changmin, who has been reaping in great success both as a musician, with ‘Something’ dominating major music shows, and as an entertainer on his variety show, is set to transform into a webtoon artist who holds the pain of his lost first love in his heart. ‘MiMi’ is a drama that depicts the beautiful but sorrowed first love story between two people whose fates have been altered. Max Changmin will play the role of the handsome and popular webtoon artist ‘Minwoo’, who sets out to find his first love once more. The singer will be playing two roles, one being the present-day Minwoo, a charismatic, 28-year-old webtoon artist who holds on to the pain of a first love he can’t remember, and the other being Minwoo in the past, when he was an 18-year-old high school student. Minwoo is not only handsome, but he is also a talented and popular webtoon artist. He finds a post-it note on his calendar one day, which leads him to create a new webtoon called ‘December 8th’. The webtoon becomes immensely popular from the start, but Minwoo begins to feel the pressure of his work, developing strange headaches. He then decides to search out his first love from ten years ago. Mnet’s ‘MiMi’ will begin airing at 11pm on the 21st of February and will air every Friday for four weeks. 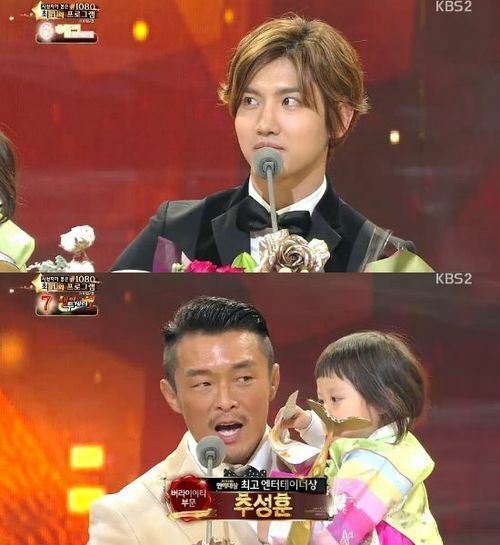 TVXQ’s Max Changmin and mixed martial arts fighter Choo Sung Hoon have won the best variety show entertainer award. Max Changmin and Choo Sung Hoon attended the 2013 KBS Entertainment Awards at the KBS Hall in Yeoido on the 21st, and each gave an acceptance speech for the award. Max Changmin and John Park were caught trying to climb over Park Jin Young’s fence to get into his house. The 35th episode of KBS 2TV’s ‘Our Neighborhood’s Master of Variety and Sports’ had the celebrity basketball team visiting Park Jin Young’s house. One of the highlights of the episode was seeing Max Changmin and John Park trying to enter Park Jin Young’s house by climbing over his fence. The trip to the singer’s house took place because of the promise Park Jin Young during the team’s first practice sessions, when he said, “I’ll buy dinner on the day our team gets its first victory.” With two victories under their belt, the team was invited to Park Jin Young’s home. On this day, Max Changmin and John Park arrived much earlier than the rest of their time. Unable to find an entrance to the house, the two singers tried to climb over the fence surrounding the house to get in. Seeing the rolls of toilet paper that John Park had brought for a housewarming gift, Max Changmin asked what the meaning of bringing toilet paper to a housewarming party was. Not knowing the actual meaning of the gift, John Park said, “Isn’t it because moving in to a new house means you probably don’t have a lot of toilet paper at home?” Due to fact that John Park has spent the majority of his life overseas, he did not know that toilet paper is gifted so that ‘Good things keep rolling’ in the house they are given to. The inside of Park Jin Young’s house was also revealed on this episode, which will air at 11:20pm on Tuesday. KBS 2TV’s ‘Our Neighborhood’s Master of Variety and Sports’ experienced a rise in viewership. According to Nielsen Korea, the episode of ‘Our Neighborhood’s Master of Variety and Sports’ that aired on the 19th recorded a viewership of 6.7%. This is 0.1% higher than last week’s episode, which recorded a viewership of 6.6%. The day’s episode featured the next chapter of the celebrity team’s basketball journey. SBS’ ‘The Heart is Beating’, the show’s rival, was cancelled and replaced by the national soccer team’s match against Russia, which recorded a viewership of 11.3% and won its spot as the most-watched program of its time slot. MBC’s ‘PD Notebook’ enjoyed a 1.6% rise in viewership, from 3.9% to 5.5%. The 11 week-long journey of KBS2′s ‘Our Neighborhood’s Master of Variety and Sports’ has finally come to an end. The badminton rounds seemed to feel longer than any of the other sports matches, because the celebrity had hadn’t won a single match. Five matches, five losses. Though these are despairing results, more sweat was spilled than ever before. In July, the celebrity team and staff entered the realm of badminton, not even knowing how to hold a racket properly. In two months, they have become players who could go against highly skilled amateurs and live to tell the tale. We met with Coach Lee Eun Woo, the mastermind behind the team’s rapid improvement, to hear about the behind-the-scenes stories of their journey. – How would you rate the team as a professional? They’ve improved greatly over a short period of time. The lessons I held with the celebrity team is completely different from lessons I regularly hold. Because it was important to bring them up to a level where they could compete, I had to teach them a lot of things in a short period of time. I think we covered a month’s worth of teachings in a day. – How much did everyone practice? Three hours a day, three or four times a week. Some members even came every day to practice. We would start practicing together once I was done with all my lessons at 9p.m. Even I found it hard to play badminton till one in the morning in the blistering Summer heat. But I knew just how hard the celebrity team were trying, so I put all my passion into teaching them. They would ask me for lessons in the weekends, and they frequently contacted me to ask if I could rent out the gymnasium for them to practice. – Who practiced the hardest? I couldn’t really choose one person because they all worked so hard. – Which member is exceptionally athletic? Of course, it’s Kang Ho Dong. Every time he’s in the gymnasium, he can become so concentrated that it always surprises me. He’s exceptionally athletic and witty at the same time. Most of all, he’s very good at absorbing things quickly. He’s the kind of person who you can teach one thing to, and they’ll learn ten things off it. He’s played tennis for a while, and it probably wasn’t easy for him to get rid of his habits, but he’s fixed them or changed them to suit badminton. He’s quite a special athlete. There’s a reason why he’s the greatest wrestler of our time. – Then which member is exceptionally unathletic? Max Changmin isn’t very athletic at all. But I think badminton suits him more than the other sports categories. He also works very hard. Though he couldn’t visit the gymnasium often because of his busy schedule, he personally came up to me and asked me for a coach so he could practice by himself. Whenever he came to a practice session, he had that intense gaze that he has during matches, from beginning to end. It surprised me. It’s the same with Chansung. When I tell him why he’s making the mistakes he makes after a match, he says, ‘I know, I know what I’m doing wrong.’ Watching him shed tears broke my heart. It’s because I know that your body isn’t always at the same level as your brain is. Badminton is a fast-paced game that requires a lot of practice so that hitting the birdie becomes a reflex, and they didn’t have enough time for that to happen. – What’s the reason why Jo Dal Hwan and Lee Soo Geun couldn’t succeed? I think Jo Dal Hwan and Lee Soo Geun were the perfect example to show that badminton isn’t a sport that you can improve in drastically over a very short period of time. Of course, the two people worked very hard. But I think it was that they just didn’t fit with badminton. It’s like how you can’t be good at every sport, just because you’re on the national team. Jo Dal Hwan had already sustained injuries in his shoulders and knees. I heard that he even had to get surgery done. Because badminton requires a lot of movement in the knees and shoulders, it must have hurt for him to come to practices. There are many cases where badminton players quit after getting surgery done on their knees or shoulders. Even if you rehabilitate your right knee after a surgical procedure, your left knee is bound to get injured sometime later. That’s how much you subconsciously think about your injuries. In Lee Soo Geun’s case, I think he suffered from the misfortune of changing partners so often. – How important is a partnership in badminton? About 40%, with the remaining 60% depending on skill. That’s how important it is. Most badminton enthusiasts have a partner who they’ve played with for a long time. If a B-level team who have played together for a while goes against an A-level team who have just met, the B-level team have a higher chance of winning. – Who was the ace in the deck? Hands down, Lee Man Ki. He’s an A-level player in his 50s. Though his skills may differ from that of an A-level player in their twenties or thirties, but he’s one of the most talented players of his age range. Because he’s been playing for a long time, he knows how to send the birdie to certain spots in the court, and he knows how to calculate moves while he plays. And the fact that he’s left-handed is a great advantage to him. – But his results weren’t that great. If an A-level player has to play a match with a D-level player, the stress and responsibility means that they can’t play to their fullest potential. If we had given him a partner at a similar level, he would have done better. If the Lee Man Ki – Nickhun partnership had stayed in the game, the results may have changed. – Badminton was the only sport where the team didn’t get a win. Though each sport was hard on the team, badminton is one that especially relies on experience. It’s not easy. In one way, it was pretty obvious that they were going to lose. It was impossible for them to win people who have been playing for so long. I always told the team, ‘Take it easy’. It’s also a psychological game, so the first people to gain a point are also the people who usually win. It may have been a stretch to make celebrities who had just started playing badminton to be technical experts. Even normal people need at least two years to master how to use their wrist properly. The most important thing for the team was to focus on getting the birdie over the net. In two months, the celebrity team were able to catch the opposing team’s smashes and defend themselves. Setting aside winning and losing, they were amazing. – The members cried a lot. If they hadn’t worked hard, they wouldn’t have cried. Even I felt like I was going to cry after the Jeju match. I felt bad because they had never won once. Though I knew why they had lost, my heart ached because they had put so much time into their matches. It would be nice if the viewers could know just how hard they’ve worked, but that’s something only I and the members know. Even the staff won’t know the extent of the team’s hard work because they were only there when they had to film. – Which moment was most heartbreaking for you? It was when Max Changmin and Lee Jong Soo suffered from a slump during their Busan competition. Though this is a variety show, they were getting stressed and suffering from a slump like real badminton players. It just meant that they wanted to do well that much. After losing their Busan match, they didn’t even go back up to Seoul. Instead, they went drinking and quite a lot to drink. – Which member would you like to keep training with? Max Changmin, Chansung and Lee Ji Hoon. I think they could do so well if they kept going. Max Changmin fits badminton quite well, and Lee Ji Hoon is athletic and strong. If they had slowly worked their way up from the basics, they could have done a lot better. They had to get into matches as soon as they could, so there wasn’t time for them to build up the basics. Chansung worked really hard, but he didn’t do very well because he didn’t have a lot of time to grow. – All the matches are over. What would you like to say to the team? Instead of giving them consolations, I’d like to praise them. Though they cried a lot, I don’t think they had a reason to. They did so much better than others would in that time period. I want to applaud them and tell them that they did well. PheonixGames announced on the 16th that they would be adding TVXQ’s Max Changmin and SHINee’s Minho to their Myeongrang Sports for Kakao smartphone game. To celebrate the upcoming Thanksgiving holiday, Max Changmin and Minho’s characters will be added to season 2 to the game with a SS rank, the highest of the game, that comes with a jaw-dropping skill set to match. A total of 63 new characters and 27 equipment items will be added to the new season 2 update. Max Changmin’s movie will finally reach Korea. With an amazing cast that includes Max Changmin and Satoshi Tsumabuki, ‘Fly with the Gold’ is set to be screened on the 10th of October. ‘Fly with the Gold’ is based on a novel of the same name that is a best-seller in Japan and won the Japanese deduction and suspense Award in 1990. Kazuyuki Izutsu has taken the reigns as the director and the movie has been recognized for its top quality with awards won at the Takasaki Movie Awards, the Osaka Cinema Festival and the Japanese Academy Awards. Satoshi Tsumabuki and Tadanobu Asano, top Japanese actors who are well-known in Korea as well, have taken on the leading roles and they are joined by TVXQ’s Max Changmin, a singer who is popular in both countries, as Momo. 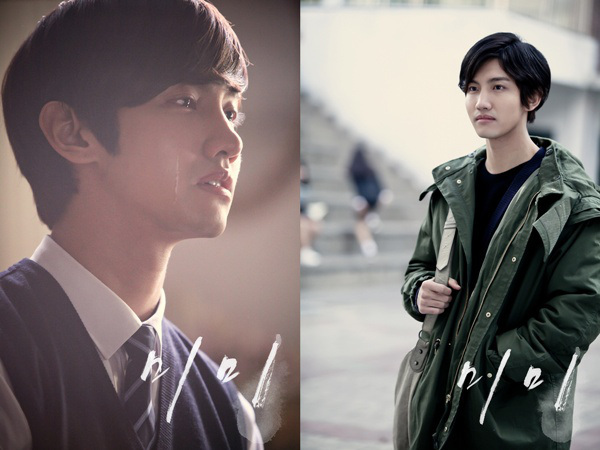 Through this production, Max Changmin was nominated for the Best Supporting Actor award at the 27th Hochi Film Awards. He won the Best Supporting Actor award at the Japanese Academy Awards, as well as the Best Rookie Award at the Japanese Film Critics Awards Ceremony. 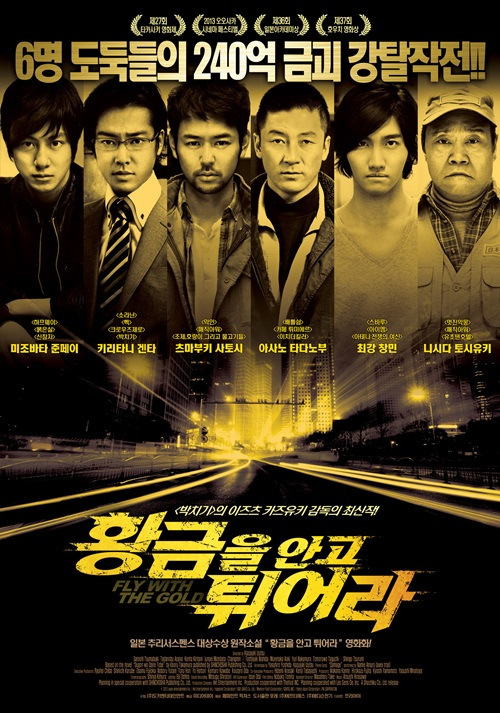 The movie is a crime thriller that brings together six talented thieves to steal 24 billion Won’s worth of money from a bank. KBS 2TV’s ‘Our Neighborhood’s Master of Variety and Sports’ has managed to keep its spot as the most watched program of its time slot. According to Nielsen Korean, the episode of ‘Our Neighborhood’s Master of Variety and Sports’ that aired on the 3rd scored a nationwide viewership of 7.5%. This is 0.8% lower than 8.3%, the viewership of last week’s episode. Despite a fall in viewership, the show succeeded in keeping its place as the most watched show of its time slot. The day’s episode followed the celebrity team’s match against the Hwasoon team of the Jeolla Southern Province. Unfortunately, the team lost 3:0 to the Hwasoon team. Meanwhile, SBS’ ‘Hwashin’ and MBC’s ‘PD Notebook’ scored a viewership of 3.8% and 4.1% respectively. TVXQ’s Nissan Stadium Concert, which took both Korea and Japan by storm on the 17th of last month, ended in success. However, it was revealed that Max Changmin had been focusing most of his efforts on his badminton skills, right up till the concert itself. The episode of KBS2′s ‘Our Neighborhood’s Master of Variety and Sports’ that will air on the 3rd will pit the celebrity team against a team in ‘Jeolla Northern Province’s Hwasoon’, the city of badminton that gave birth to Lee Yong Dae. 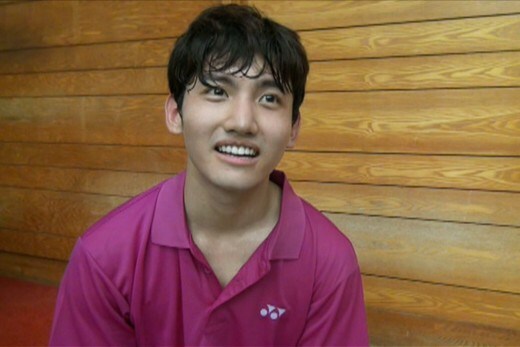 The episode will show Max Changmin practicing badminton ahead of his Nissan Stadium concert in Yokohama, Japan. Ahead of a concert that attracted 144,000 people and made him a part of the first Korean group to hold such a large-scale performance, Max Changmin was completely focused on working on his badminton skills. 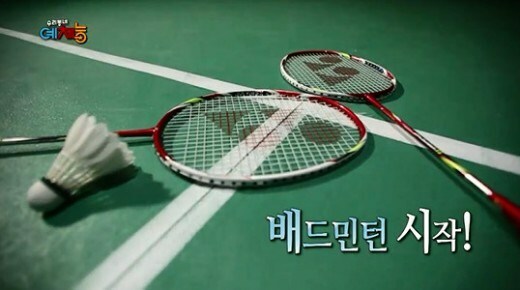 Max Changmin’s love for badminton can be seen during the episode of ‘Our Neighborhood’s Master of Variety and Sports’ that will air on the 3rd at 11:20pm.